Elements of Multifunctional cart MULTI-03 series made of: cabinet made of powder-varnished steel (colours consistent with RAL palette) top made of ABS plastic, with a deepening, surrounded by three bands base made of steel covered with ABS plastic, fitted with 125 mm casters with buffers, two with blocking.. Elements of Multifunctional cart MULTI-04 series made of: cabinet made of powder-varnished steel (colours consistent with RAL palette) top made of ABS plastic, with a deepening, surrounded by three bands base made of steel covered with ABS plastic, fitted with 125 mm casters with buffers, two with blocking.. 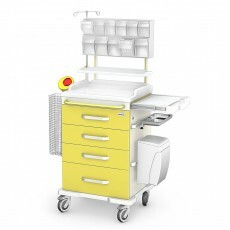 Elements of Multifunctional cart MULTI-06 series made of: cabinet made of powder-varnished steel (colours consistent with RAL palette) top made of ABS plastic, with a deepening, surrounded by three bands base made of steel covered with ABS plastic, fitted with 125 mm casters with buffers, two with blocking.. 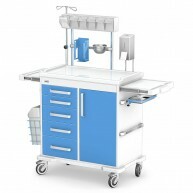 Elements of Multifunctional cart MULTI-05 series made of: cabinet made of powder-varnished steel (colours consistent with RAL palette) top made of ABS plastic, with a deepening, surrounded by three bands base made of steel covered with ABS plastic, fitted with 125 mm casters with buffers, two with blocking.. Elements of Multifunctional cart MULTI-02 series made of: cabinet made of powder-varnished steel (colours consistent with RAL palette) top made of ABS plastic, with a deepening, surrounded by three bands base made of steel covered with ABS plastic, fitted with 125 mm casters with buffers, two with blocking.. Elements of Multifunctional cart MULTI-01 series made of: cabinet made of powder-varnished steel (colours consistent with RAL palette) top made of ABS plastic, with a deepening, surrounded by three bands base made of steel covered with ABS plastic, fitted with 125 mm casters with buffers, two with blocking.. Elements of mobile assistant cabinets, K-6 series new image made of: frame made of powder-varnished steel (colours consistent with RAL palette), fitted with 75 mm casters, two with blocking mechanism top made of stainless steel 0H18N9, with raised edges, steel drawer powder-varnished steel (colours consis..